The Telehealth Leadership Group’s most recent stocktake questionnaire was sent to all 20 District Health Boards (DHBs) in October 2018. Telehealth Leadership Group programme lead Patricia Kerr says the group is still doing a detailed analysis of results, but initial findings show there has been a general increase in the use of telehealth within DHBs since the last survey in 2014, as well as between DHBs. Also, there are more telehealth services going directly from clinics into people’s homes and a wider range of technologies being used. “There’s not only an increase in the volume of use, but also in the number of clinical services using telehealth,” she said. The number of DHBs with telehealth programme managers has increased and more DHBs are also providing telehealth training to staff. The examples of excellence identified previously – Auckland, Northland, Waikato and Canterbury – have continued to grow and others have emerged. “There are more pockets of excellence, where individuals are taking up use of telehealth because they can see it delivers benefits for their service delivery,” Kerr said. Telehealth is increasingly being used for multidisciplinary meetings with streaming of pathology and radiology images, allowing clinicians who previously could not attend to participate and reducing travel times. 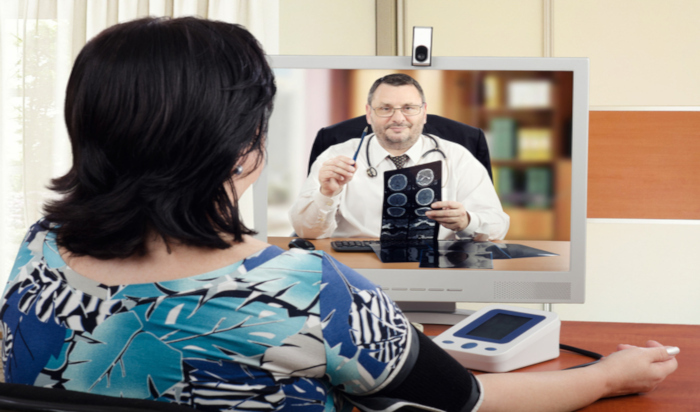 New Zealand Telehealth Resource Centre telehealth advisor mobile health Andrew Panckhurst says improved interoperability between providers of video conferencing services has made it easier for people using a variety of different platforms to link up. New entrants to the video conferencing market are often open and interoperable by nature, and better connectivity has also boosted growth. Ministry of Health sector portfolio manager data and digital services Judy Eves says that “virtual meeting rooms”, a concept that was not widely used in the 2014 survey, now enables people to easily join video conferences from a laptop or mobile device. The increased use of telehealth supports the Ministry’s goal of more cost-effective care delivered closer to people’s homes. “There are huge cost and time benefits for both patients and clinicians,” she said. Telehealth also improves access to education and training. “We’re hoping to use the results of the survey to promote communications and share areas of excellence that are happening and further support the uptake of telehealth,” explained Eves. The Telehealth Leadership Group is a clinically led independent group, supported by the Ministry of Health. The group plans to survey GPs and Primary Health Organisations (PHOs) on their use of telehealth later this year.